Early Booking Offer 2020 Season: Book before 31 July 2019 and save 10% on Triple, Main Deck and Classic Suites - or 15% on Superior suites and higher categories. Quote Promocode SPX10 or SPX15 during the booking process. A luxurious version of the classic Antarctica expedition. Highly recommended! 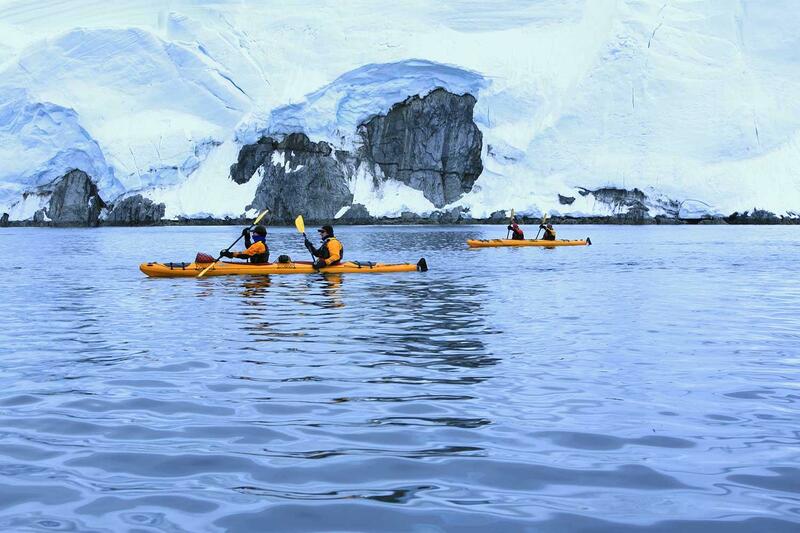 This expedition offers the perfect chance to discover the best of the Antarctic Peninsula, the last continent’s most northern region. 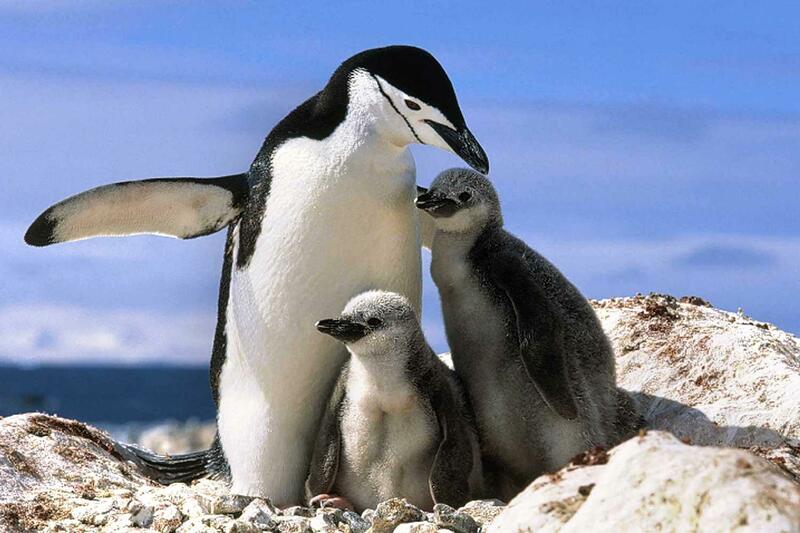 You’ll be delighted by penguins, seals and seabirds as they accompany you on your journey along the Antarctic coastline. Landing on the continent itself is a memorable highlight, where you’ll explore the iconic sights that make this one of the world’s most pristine, exotic and unforgettable natural environments. Day 1. Ushuaia, Argentina. Despite its small size, the city of Ushuaia is the world’s southernmost city, the capital of Tierra del Fuego and the main starting point for voyages to Antarctica. Admire the surrounded views of Beagle Channel and the Andes Mountains. If you arrived early, you may want to visit Tierra del Fuego National Park, the southernmost on the planet. Stroll along the main street of Avenue San Martin, and pause at one of the many cafes, shops or restaurants. Our guests will overnight at five-star Arakur Resort and Spa, one of the “Leading Hotels of the World.” Day 2. Ushuaia, embarkation. This afternoon, embark the Sea Spirit and set sail down the picturesque Beagle Channel as the sun sets and dinner is served. Day 3-4. Crossing the Drake Passage. 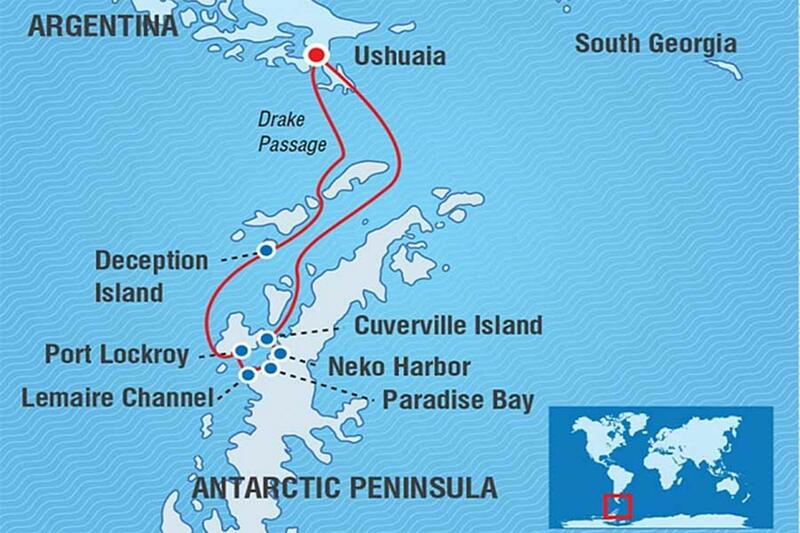 The Drake Passage spans 600 miles from the top of South America to the South Shetland Islands. The Sea Spirit’s stabilizer fins will help to make the crossing comfortable. 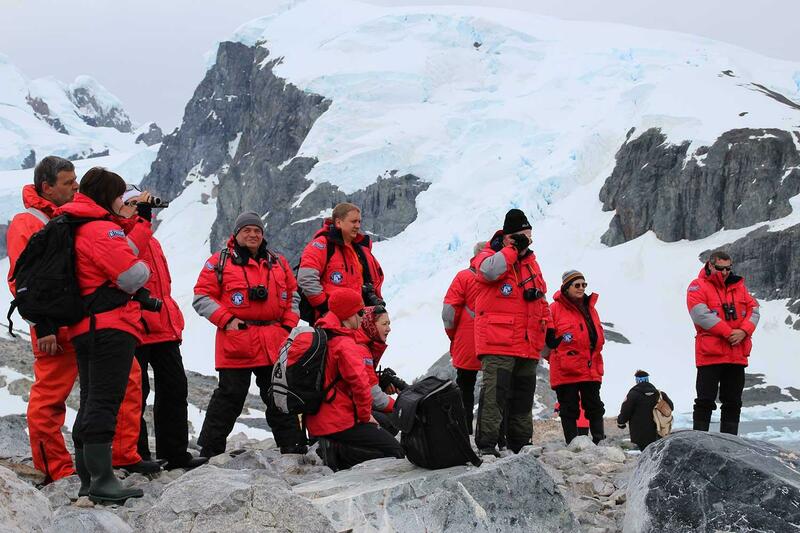 Lectures and presentations by our friendly team of Antarctic experts prepare us for what lies ahead. 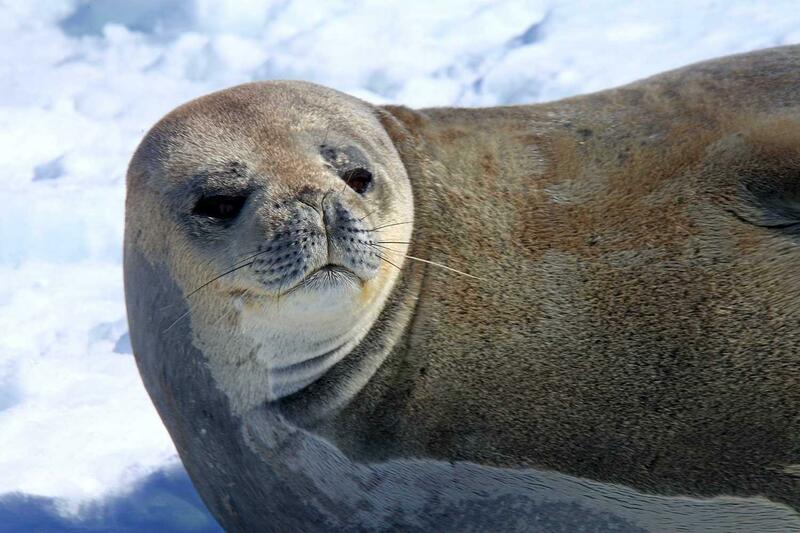 At the Antarctic Convergence, watch for sea mammals, albatrosses and petrels in these krill-rich waters. If the Drake has behaved, we will approach the sub-Antarctic South Shetlands during the afternoon of Day 4. Day 5-9. The Antarctic Continent and the South Shetlands. 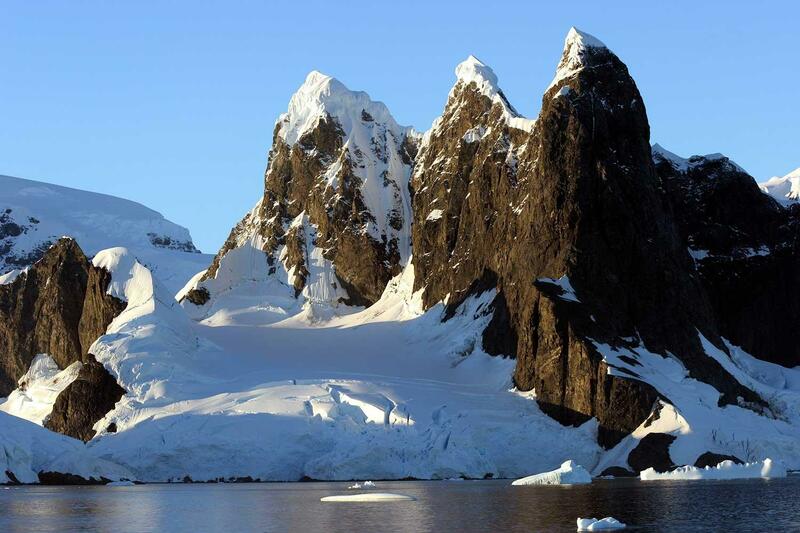 The Antarctic Peninsula and nearby islands provide exceptional opportunities to discover the unique wildlife and awesome landscapes. Depending on weather and ice conditions, the captain and expedition team will direct the Sea Spirit to a variety of secluded bays and harbors to optimize Zodiac landings and wildlife viewing. While we have a plan, flexibility is the key to successful expedition cruising. With the help of our expedition team, look for the four penguin, six seal and several whale species on your Antarctic checklist. As we head south along the Antarctic Peninsula, you’ill understand why the imposing, snow-covered Lemaire Channel is called “Kodak Alley.” We’ll also try to visit a research station during the voyage, although the work schedules of the scientists may not always permit this. At the Ukrainian base of Academician Vernadskiy, you might want to sample the throat-burning gorilka, or Ukrainian pepper vodka, distilled on location. 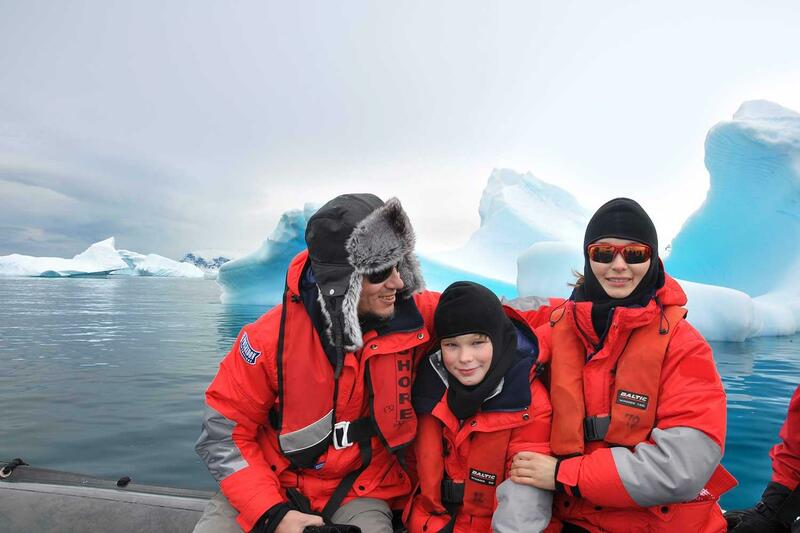 A Zodiac cruise of Paradise Bay, with its many glaciers, offers an experience like no other on the globe. Cruise by massive icebergs, with cracks and crevices reflecting an amazing spectrum of blue colors. Conditions permitting, we’ll set foot on the actual Antarctic Continent at Hope Bay or perhaps another site. We’ll also find a time for our most adventurous travelers to take a polar plunge, perhaps in Neko Harbor or the relatively warm waters of volcanic Deception Island. Day 10-11. Drake Passage. 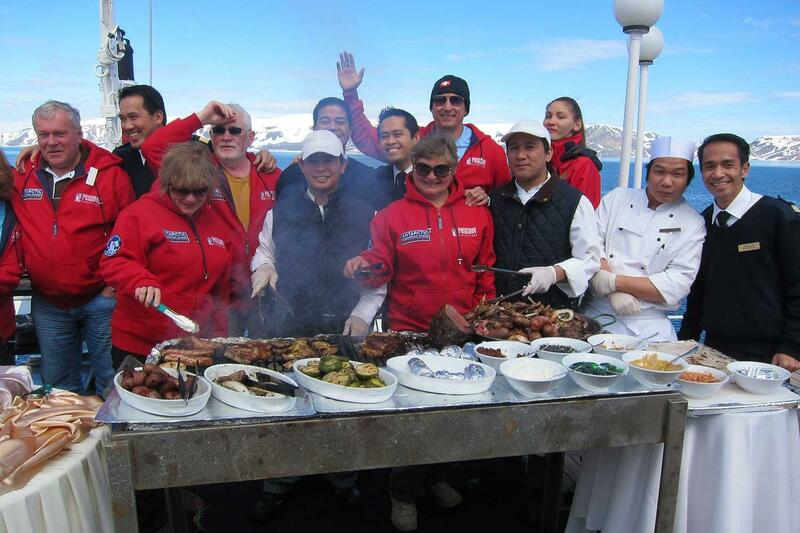 As the Sea Spirit heads back to Ushuaia, there are some final opportunities to ask questions of our Antarctic experts, to share photos and experiences with newfound friends, and to enjoy our festive farewell dinner. 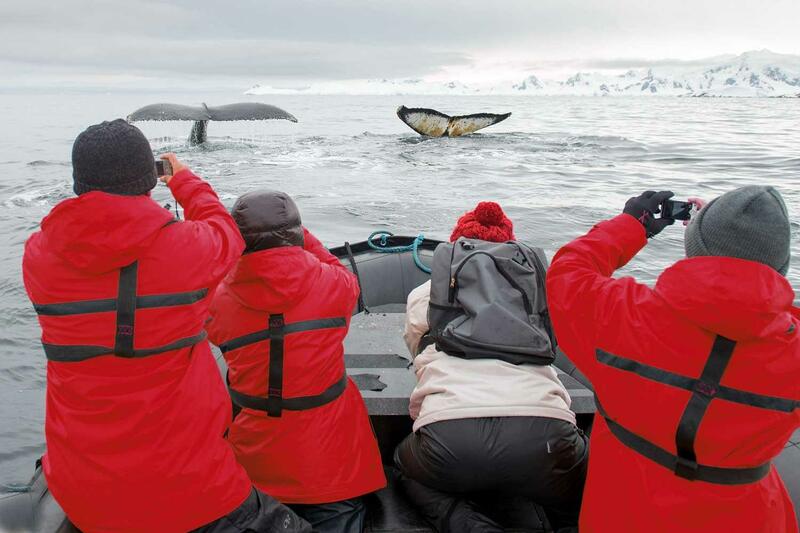 Wave goodbye to the birds and whales, until you meet again on your next voyage to the White Continent! Day 12. Ushuaia, disembarkation. Disembark following breakfast, and transfer to the airport or the city centre. 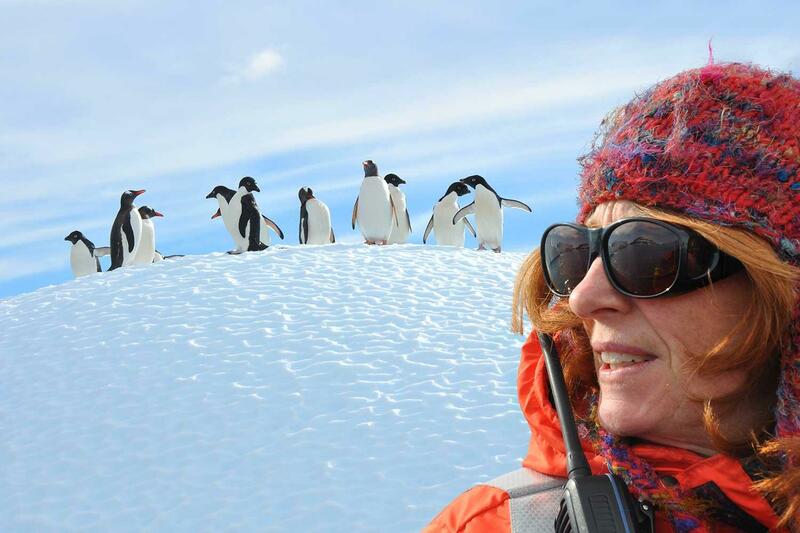 Note: Some departures are 13 days with one extra day spent in Antarctica. Please check your selected departure date for the correct number of days. The cruise itiinerary is subject to weather and ice conditions and many other factors. Daily decisions are made by the Captain and expedition leader to maximise opportunities according to conditions Flexibility is the key to expedition cruising! Sail aboard the remarkably comfortable Sea Spirit and experience the polar regions in grand style with spacious suites. Carrying a maximum of 112 passengers this outstanding vessel, approved for polar waters, is equipped with rubber inflatable boats - called Zodiacs- for shore transfers and cruising. Kayaking and camping options are available on select departures. All suites have facilities en suite and exterior views. Deluxe Suites, Premium Suites and the Owner's Suite have private balconies for viewing the breathtaking landscapes of the Arctic, Antarctica, South Georgia and the Falklands. Cruise with all the comfort of home - king-size beds (twin beds for those who prefer them), an open bar, balconies and a hot tub. Plus enjoy the amenities of a fine hotel, while a resident photographer helps you take brag-worthy photos. Deposits - Reservations require a deposit of 20% per person at the time you receive a booking confirmation from Expeditions Online. A payment link will be sent to you and this may be paid by major credit card. Bookings within 90 days of departure require full payment. Voyage rates are quoted in U.S. dollars and are based on passengers sharing a cabin. Rates are based on anticipated fuel costs at the time of departure multiplied by a maximum daily usage. There will be no fuel surcharge for voyages if the price of applicable fuel, delivered locally, does not exceed US$1150 per metric ton. Should the price go above this a surcharge, to cover only the increase in fuel costs, may apply. In this case agents will be notified immediately and passengers will have the right to cancel their reservations within 14 days of notice of increase without penalty. Share Travel and Single Suplements - If you are travelling alone and wish to share this is available only in the following categories: Triple Classic, Main Deck and Classic Suites. If you prefer, single occupancy of a twin cabin is available at 1.7 times the twin rate and available only in Main Deck and Classic Suites; single occupancy of a twin cabin is available at 2 times the twin rate in the Superior, Deluxe, Premium and Owner Suites. Final Payments - Balances are due 90 days prior to departure. Balance payments may be paid by bank transfer, or on request by credit card (subject to a 2% surcharge). Cancellations - All requests for cancellation must be received in writing to Expeditions Online. Cancellations received 120 days or more prior to departure, are refunded less a fee of $750 per person. Cancellations received from 120 to 91 days prior to departure, are subject to 20% per person cancellation fee. If cancellation occurs less than 90 days prior to departure, all payments are forfeited. If full payment has not yet been received, the full penalty will still apply and any unpaid balance is due immediately. We strongly recommend that you obtain adequate trip cancellation insurance. Booking Terms - Please read carefully the General Booking Conditions for Expeditions Online. This voyage is operated by Poseidon Expeditions and you additionally travel under their terms and conditions as the operator as well as of the Shipping Company/transport carrier. Details will be forwarded to you at the time of booking.